With the race for marketing leadership hotting up amongst the major composite door suppliers in the industry, Richard Kirman, Sales and Marketing Manager for Truedor from IG Doors tells us why the company has now added a fire door to its offering for the trade. "The composite door sector is a fantastic place to be at the minute. The demand for products has never been higher and with that comes the expectation that the leading companies in the sector will continue to push the boundaries and expand their range. 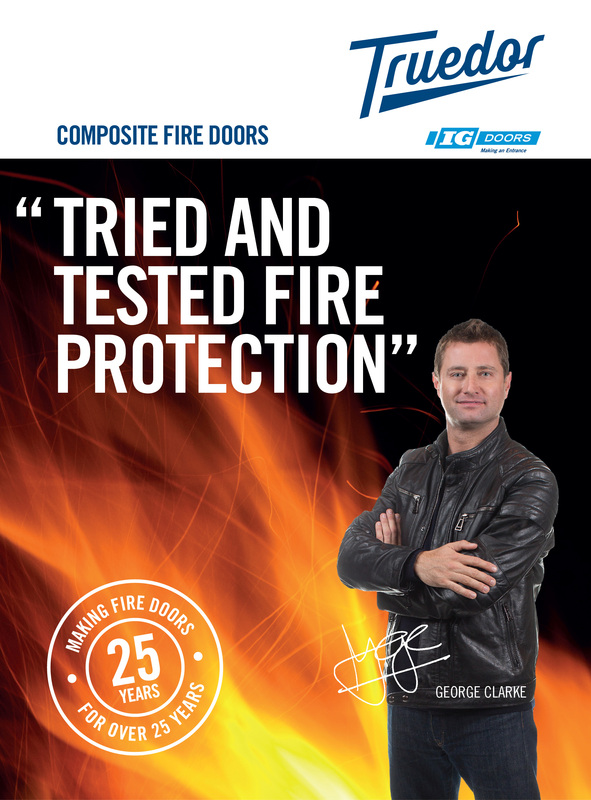 "For us as IG Doors in our 35th year of making composite doors, the logical step was to make our fire door – which we have been manufacturing successfully for 25 years – available to the trade. Our fire door comes with the same great technical pedigree as the rest of our products. It goes without saying that it is fully certified by an independent body as an FD30 which includes as standard smoke seals and fire seals. It is also an outstanding performer in terms of sound insulation. "But what people perhaps don’t fully realise is that it also comes with many of the same features you would expect on ‘standard’ composite doors. It can be fitted with a letter plate for front doors – again fitted with certified and appropriate seals – it comes in a range of colours and styles; there is a range of glazing options, and it can have fully matching top lights and side lights. "It also comes with a range of hardware options so that a consumer can have choices as they do when choosing a door from our standard Truedor range. With more and more residential owners choosing flats and apartments over traditional homes, there market for fire doors is growing all the time. They still want the same opportunity to enhance their homes as people in traditional two-storey housing and a composite fire door gives them that options. The benefit for us that comes from manufacturing and selling this type of door for over 25 years is that we know it works and that it is proven in the marketplace. For us it is entirely the right time to launch it into the trade market to support our customers. "So now not only do we have an outstanding range of aesthetically pleasing and contemporary styles with great customer options in terms of colour choice, hardware range, glazing and threshold options, but we also have something which is technically very different too. It is the latest, but by no means will it be the last product to be added to our range and highlights the point that demand and expectation since we entered the trade market a little under a year ago has been phenomenal. It fully justifies our decision to enter the trade market, and reinforces our belief that the industry is looking for a new player of significant size to offer the range, and the service, it craves."